Paul Nelis considers the value of having young people take control in their communities…why not! Maryhill Housing Association and YOMO took the bold step to enable young people to lead the PB process for Ruchill and Maryhill. The PB event attracted lots of people, it was well planned and without a doubt our young adults ensured that lots of much older adults got the opportunity to express their democratic right to have their say. We need more of this! They were all there: the grandmother with her patient granddaughter – both slowly making their way around the table top presentations, because granny knows everyone in the room. The young dad with his two energetic kids intent on climbing Maryhill Burgh Halls seating gallery – dad already knew that one of his votes would go to the local kids football team before he arrived at the event. The mother and her daughter, mum loves the outdoors & green spaces so will be voting for the environmental projects and on top of that she’ll vote for the Parkview School’s project because her daughter attends. The large group of mums weary from an hour of Zumba next door enter the hall in a bundle of chat and laughter, they’re determined to speak to all the projects and have their say. They quickly make their way around the table top presentations as there was only minutes before voting closes. The coordinator for Shakespeare residential who will vote for her own project but will use her other votes for the projects that she knows do great things in the community but never (up till now) get the funding or recognition they deserve. The PB event in Maryhill Burgh Hall explodes the myth that people will not come out to a community engagement event. We are often told that the community are suffering from ‘engagement fatigue’ and that people don’t want to be involved in any kind of community engagement activity or that it’s the few ‘usual suspects’ making the decisions for the rest of the community. Well, that Tuesday evening in Maryhill turned those old tropes on their heads. The Burgh Hall was packed with people who wanted to have a say on what goes on in their community. They were happy to be there because they knew that their votes would be respected and that actual funding would be allocated on the night to the projects with the most votes. The most remarkable thing about the PB Event in Maryhill was not that lots of people turned up or that the community groups came up with original ideas to benefit the wider community or that democratic voting processes are popular with people in Scotland. The most remarkable thing was that the whole process was developed and managed by young people from Maryhill between the ages of 8 and 15 years. A group of young people accepted the challenge to come together weeks before the voting event to learn about PB, to set the funding criteria, develop the application forms, decide on the voting process, develop the marketing materials, arrange the entertainment, book the hall, ensure that voting cards and ballot boxes were in place, arrange the catering and most importantly be there at the event to ensure everything ran to plan. These remarkable young people were supported by Young Movers (YOMO) who work in communities to support young people to become active citizens and encourage them to shape the communities they live in. YOMO empowers young people through volunteering and lifelong learning and are now the undoubted experts in supporting Participatory Budgeting with young people. Credit also goes to Maryhill Housing Association who had the idea to empower young people through PB and worked with YOMO to enable young people in the community and local schools. Maryhill Housing Association successfully applied for the Scottish Governments Community Choices fund to run the PB Process. The funding went to develop ‘Wee PB’ events in local schools and the larger PB event for the wider Maryhill and Ruchill community. The Housing Association also provide £10,000 of its own funding to add to the fund. A total of £40,000 was made available for the main voting event and each community group had the opportunity to bid for up to £5,000. In Maryhill young people demonstrated that they can lead on important projects for their community. 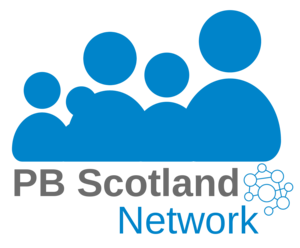 PB is proving to be a very useful process to support them to learn and grow within the community and to shape how our communities will function in the future. We need to see more young people getting involved and leading as PB continues to grow and develop as a mainstream approach to renewing local democracy. I’m looking forward to a new generation of young active citizens managing PB processes for the whole community.